We've simplified the process for acquiring an attractive, complete and mobile friendly real estate web site that is engaging and yet simple to manage. Our easy to use administrative tools are included with every Real Estate website solution. There is no programming required and no hidden fees. Below, we describe in detail the primary features included within each Real Estate Designer Website solution. If you have questions on how to manage our features, please visit our Quick Start Guide - FAQ section. Each Real Estate website template is designed and the user experience is perfected until we believe it represents our clients in the best possible way. Our designers focus on building custom looking styles that can compete at a high level with potential competitors. Building clean and inviting designs that allows our client's site visitors to quickly search properties and services that are offered in an effective and direct fashion to increase site productivity is our goal with each design. You will have access to our secure online interface to update copy, manage listings, photos, contact information, articles and more. This added convenience is accessible anywhere and anytime you have access to the internet using today's most common internet browsers. There is no software to download and the updates are done in real time. For example, upload your property photos and our system dynamically resizes each photo into 4 different sizes that will be displayed throughout your site. (Use your own) You can elect to integrate your existing MLS - IDX listing URL's directly into your web site for free. Or you can choose our IDX Power Add-on option for an additional monthly fee. Click here for more details related to this IDX add-on. Once you decide which system is right for you (direct from your IDX vendor or our IDX Power Add-on option), the IDX URL's would be inserted into the appropriate fields within the Agent CMS. The search and MLS listing pages would then be displayed within the body of the corresponding website pages using iframe technology. Our text and image editors inside the Agent CMS are very robust. The CKeditors are WYSIWYG editors, which means that the text being edited looks as similar as possible to the results being published. The built in editors offer the common editing features found in desktop editing applications such as Microsoft Word and OpenOffice. Easily upload and add images, PDF's, brochures, tables, etc. Manage and update your home page slideshow using the default photos that come with your template or add your own. Add as many as you like and adjust the order using drag and drop functionality. You can apply text captions and links to each one individually. The transition style is a simple fade. Using drag and drop functionality, you have complete control over your navigation. This includes both the top navigation and left navigation. As an option, you can also drag additional links to sit nested under the top navigation links. These nested links would then appear when your site visitor hovers over the main link. The bottom navigation automatically mirrors your main top navigation links. You can rename any of the existing links to accommodate your demographic. Vanity URL's are an option for all pages accept the custom contact forms that are created using the contact form builder. Your Real Estate Designer web site encompasses the functionality for you to add additional pages relating to anything you want. Add as many pages as you like! This feature is easily accessible from within the Agent CMS (Content Management System). Default Page - Includes left navigation. Blank Page - Does not include left navigation which allows for more room to add your content. MLS Page - Uses iframe technology. This style of page can also be used for loading other web pages, blogs, etc., that will then appear within the body of your website page. 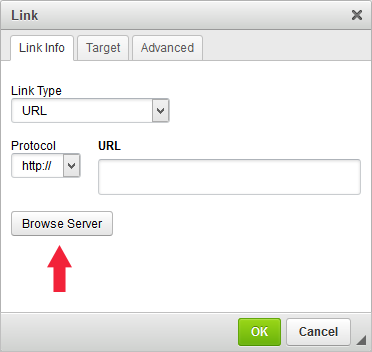 Redirect Page - Create links to any external or internal website pages. Your web site is completely hosted and maintained by Real Estate Designer using 256-bit Secure Sockets Layer encryption on GoDaddy.com web servers. This allows you to relax and focus on what is most important to your visitors such as highlighting and promoting properties, adding new content and keeping your site fresh in general with our easy to use Agent CMS. We are here to support you in every way possible to ensure that your website is set up properly and you understand how to manage your content. We realize that not everyone is experienced using the internet so we've taken grave efforts to create intuitive online tools that are easy to understand. This will make your management experience a simple and rewarding one. You also have complete 24/7 customer support via email whenever you need it. Properties added manually are listed with a thumbnail image, location, price, bedrooms, bathrooms, MLS number or Property ID number, open house, links to details, printable flyer and request more info. This allows potential buyers to quickly and effectively browse through your listings when searching for a property. Note that you can optionally change all of the property labels listed above to accommodate your target audience using the "Manage Property Labels" section of our CMS. This allows the property template to conform to your demographic as needed. There is no limit to the number of properties that you can display. If you need property listings that are more unique or specific, you can also create segmented listing pages based on specific property details from the properties that you have already added to your site. You can add as many unique listing pages as needed based on specific criteria. Click here to preview what a property listing page looks like. When adding properties manually, you can add as many as you like to the home page and also adjust the order in which they are displayed. Detailed property information is displayed to potential buyers when they click on a property thumbnail picture or link. Photos, property description, features, price, open house and address are all displayed prominently. You can optionally change all of the field labels including property types and property status. Click here to preview what a sample detail page looks like. You can add unlimited photos for each property and the process is quite simple. For example, each time you upload one property photo our system dynamically resizes the photo into 4 new photos. The resized photos propagate seamlessly into your site at the appropriate locations for that property. For each property, you can designate an open house date to alert your visitors of an upcoming showing. Add social media icons to display within the header and/or footer within all pages of your website. There are 3 different icon styles to choose from, color, light grey and dark grey. You can also add your own social media icons to any of the text and image editors within the CMS. You can change the main font types that are being displayed within your website including general fonts that you will see within the body, navigation and heading tags. Example fonts to choose from would be Open Sans, Lato, Oxygen, Arial, Droid Sans and more! Google Translate is an option for all websites. You can set it to active or inactive. When active, Google Translate will appear on all pages of your site within the footer section. There are currently 20 currencies available. Each forms includes reCaptcha functionality to minimize spam. You also have the option to create unlimited unique contact form pages using our built in contact form builder. Although we do not offer a virtual tour service, you can easily link your site to a virtual tour if you already have one set up. You simply enter the virtual tour link into the virtual tour field within your Agent CMS. In addition to designing all of our sites to be search engine friendly, you can modify, update and maintain your web site meta-tags (Keywords, Descriptions and Title). This is important and allows you to optimize your web site naturally for higher search engine ranking and increases site visibility to the end user. However, writing rich content that speaks to your audience is what Google and other top search engines respect more. Adding vanity URL's is also an option along with using our automated XML sitemap generator to submit to Google Webmaster tools. You can connect with a very robust intuitive real-time statistics management system provided by Google Analytics which contains information detailing your site visits. Google Analytics is a free service that we integrate directly into your website and is considered to be one of the best. You can insert PDF's wherever you can insert copy throughout your site using the text and image editors. You can also add them specifically to properties at the top of the property details page or directly in the property description. Below is a detailed listing of all features included within each real estate website template solution. Manage your web site using our web site control panel which is called the Agent CMS. Manage and update your home page slideshow using the default photos or add your own. No technical or programming knowledge needed. No software needed. 100% internet based. Manage your web site from virtually anywhere. Add/Edit unlimited pages to your Website. There is no set maximum limit. Update your web site in real time. Fully Editable About Us Page. Fully Editable Company Info Page. Custom style look and feel. Upload PDFs, Excel, Word Documents, Videos and more. Complete control of your website's top and left navigation menu. Add unlimited links to your web site. Add unlimited local area links. Add unlimited photos to your site. Easily edit virtually any page using our content page editor. Automatically submitted to search engines, such as Google, Yahoo, MSN, Bing and more. Add unlimited content to home page for best practice SEO (Search Engine Optimization). Add site title tag, meta tag keywords and web site description. Main site pages have search engine friendly URLs. Google Analytics - Extremely robust tracking system of visitors. SEO Support available to help increase your website search engine ranking. Find My Dream Home Form. What Is My Home Worth Form. Contact Form Builder to create unlimited unique form pages. Request more information on every property details page. "Add This" sharing service on every property details page. Email Property to a friend on every property details page. Add Attachments to Listings, such as PDFs, Excel, Word Documents, Videos and more. Add unlimited number of listings. Add unlimited photos to your listings. Add unlimited property features to your listings. Add virtual tours to your listings. Automatic Yahoo Mapping directions and maps for your listings. Add featured listing to your home page. Display sold, under contract, active or inactive listings. Print listing flyers directly from property details page. Advertise open houses for your listings. Completely customize virtually any section of your website where text boxes are present using a simple WYSIWYG text and image editor. Home page flash slide show can be adjusted to display your photos upon request for FREE. Create a detailed About Us page using photos, Agent photos, etc. Company Information page (optional) describing your company in depth. Insert Adobe Flash wherever there is a text box present which is virtually every page. Add documents, such as PDFs, Excel, Word Documents, Videos and more to view or download. Mortgage calculator included but optional. Add office locations to your website. 365 day e-mail support. Phone support Monday through Friday 9:00AM-5:30PM EST. Website Logo Design upon request (for online use only).